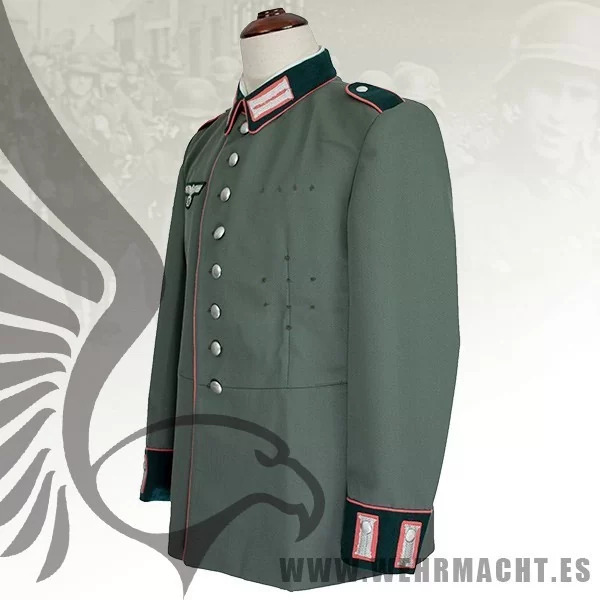 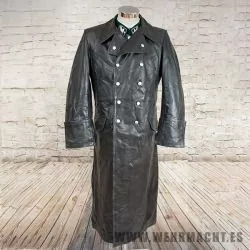 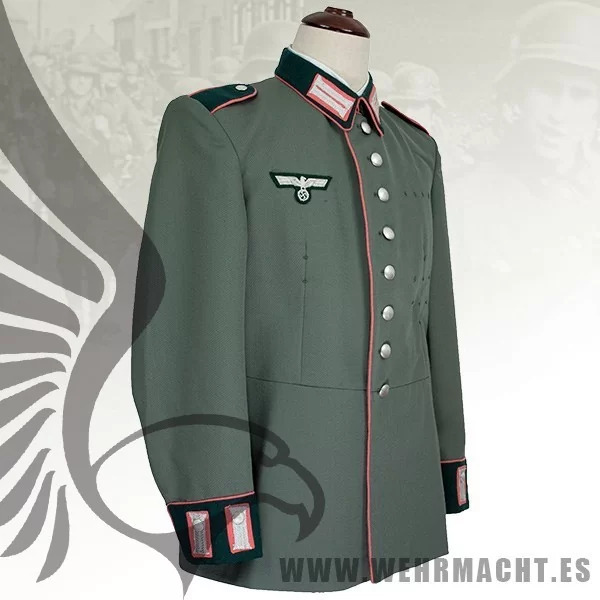 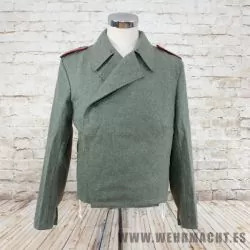 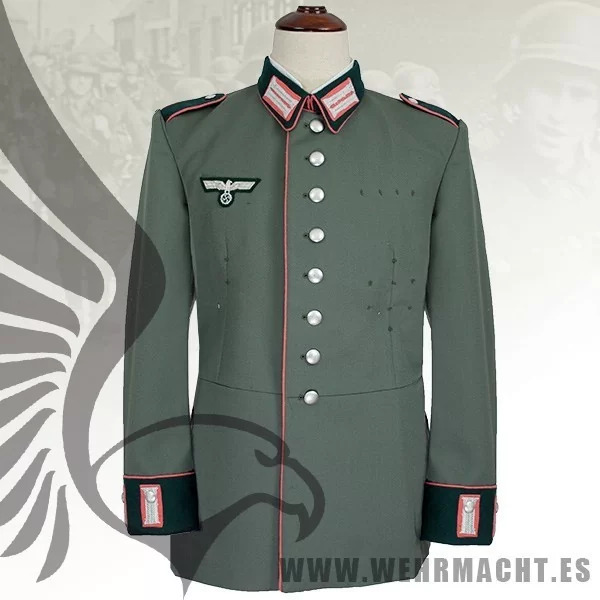 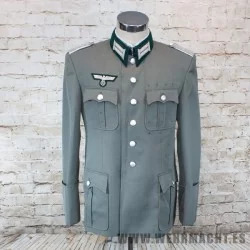 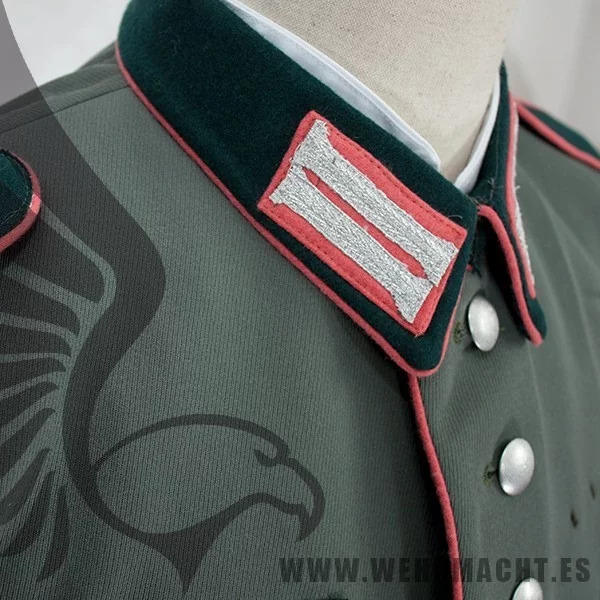 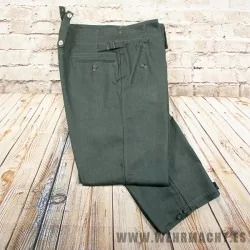 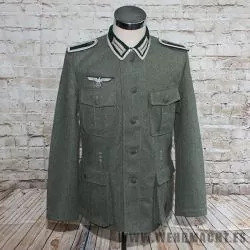 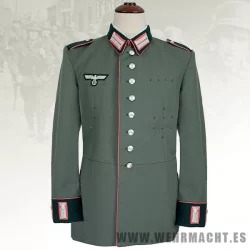 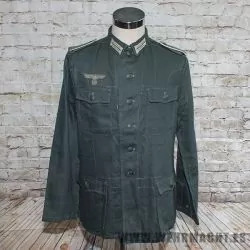 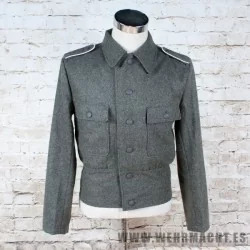 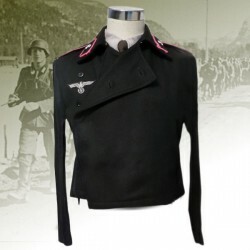 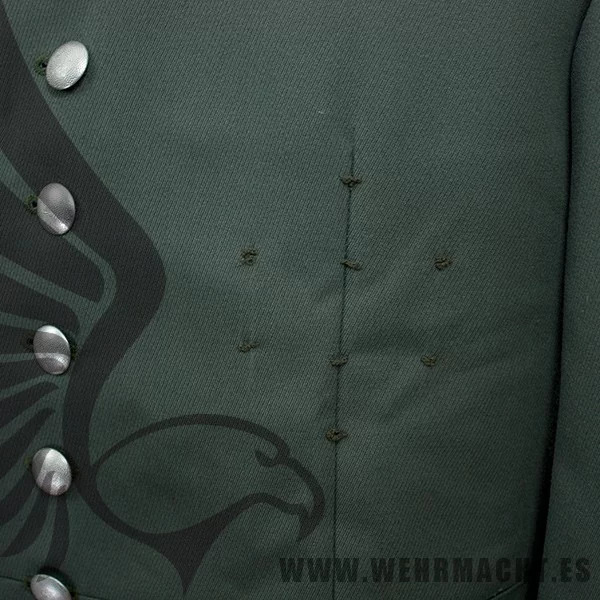 Waffenrock M35 for enlisted men's and non-commissioned officer of Wehrmacht, made from a high quality tricot gabardine, and are finished with eight front silver buttons and a dark green wool collar. 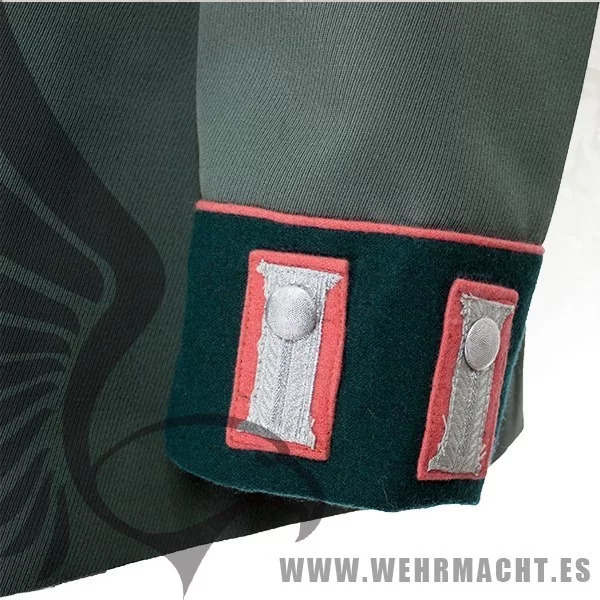 They have piping with the arm color. 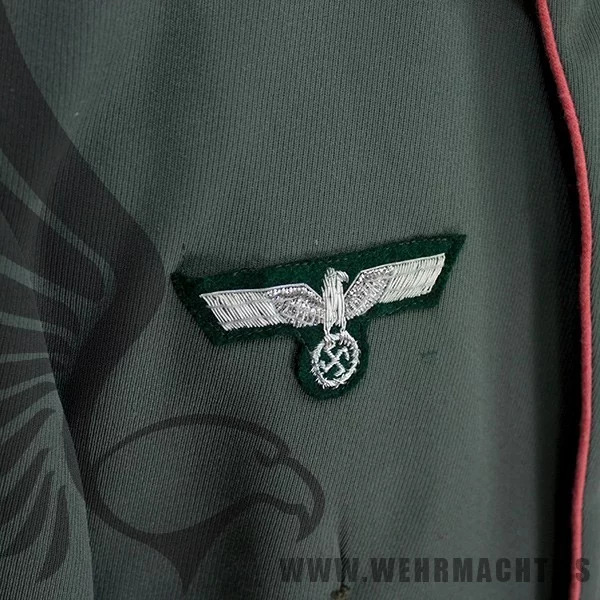 They even have a G. Assman tailor label inside the tunic. 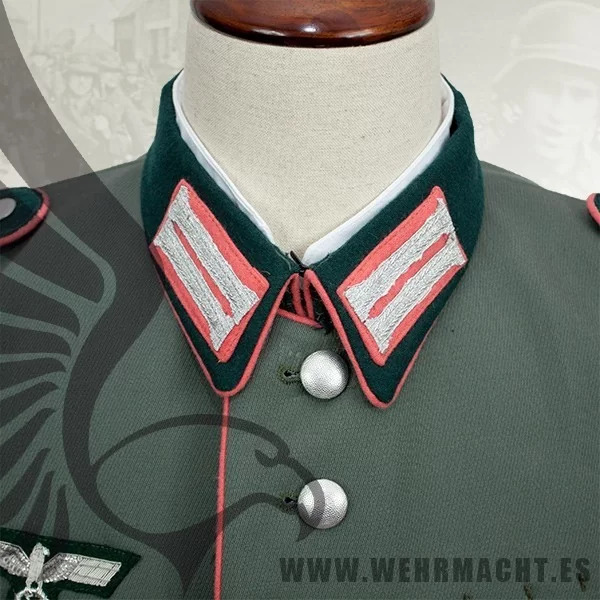 Include shoulder boards and collar tabs. 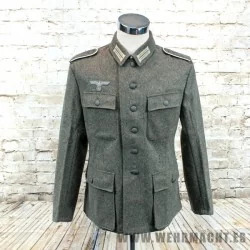 By buying this product you can collect up to 173 loyalty points. 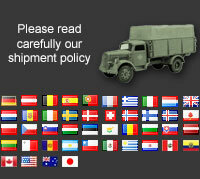 Your cart will total 173 loyalty points that can be converted into a voucher of 3,46 €. 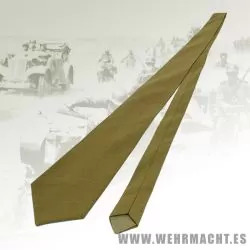 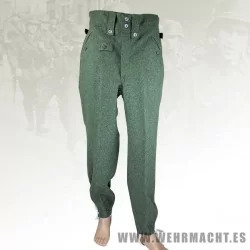 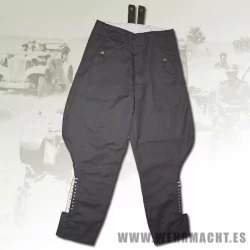 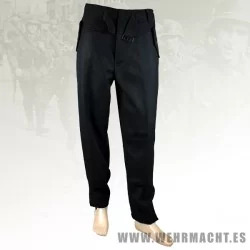 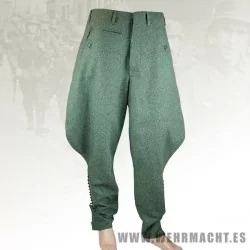 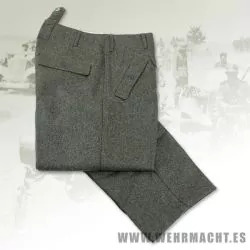 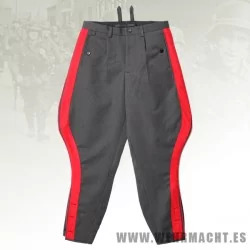 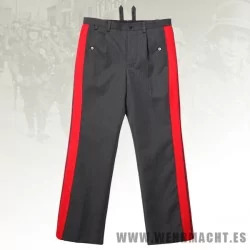 The M35 Waffenrock was introduced for wear by all ranks on June 29TH 1935 as the walking out, parade and ceremonial dress with the piped, stone grey long pants. 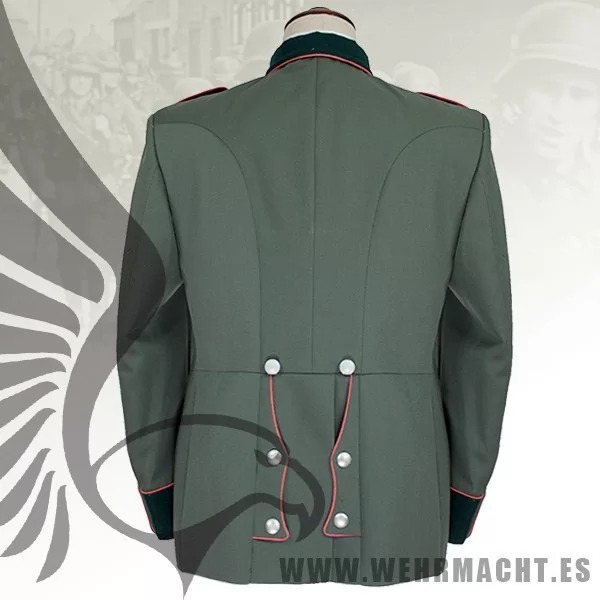 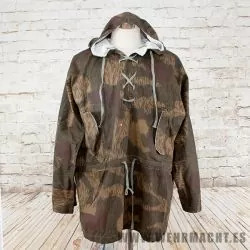 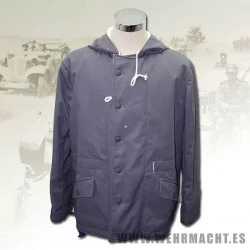 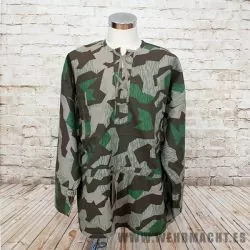 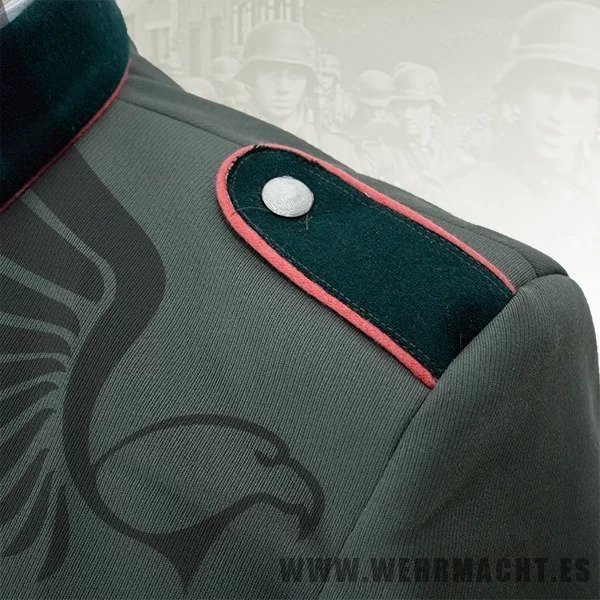 The design of the M35 Waffenrock was based on the Imperial German army’s service tunic but was a field grey color and generally of much higher quality. 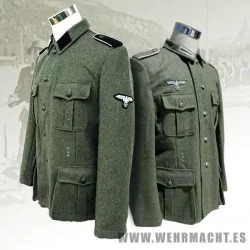 Originally all personnel were issued two M35 Waffenrock but manufacture was discontinued in late 1939 or early 1940 and was to be reinstated at the successful conclusion of the war. 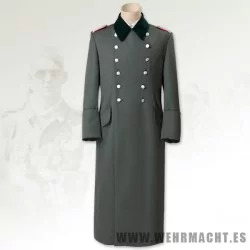 Regulations of March 21ST 1940 stated that the M35 dress tunics that were no longer suitable for dress wear were to be modified and reissued to personnel of the replacement and reserve units for every day wear. 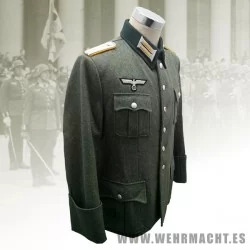 Officers and certain senior NCO ranks were responsible for purchasing their own uniforms and could choose to purchase from the armed forces clothing depots or to privately purchase garments of higher quality. 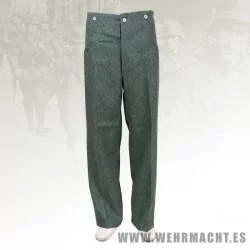 Although enlisted personnel were issued their uniforms from government supplies they were also permitted to purchase privately tailored uniforms although the price may have been restrictive.